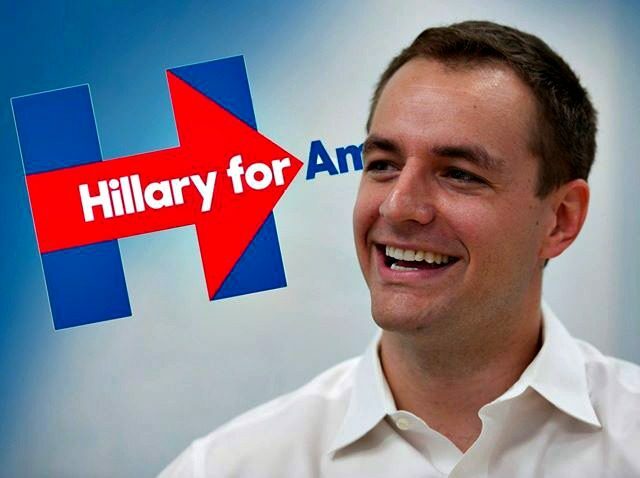 HEMPSTEAD, New York — Hillary Clinton’s campaign manager Robby Mook and other top Democrats refused to answer whether Clinton wants President Barack Obama to withdraw the Trans Pacific Partnership (TPP) from consideration before Congress during interviews with Breitbart News in the spin room after the first presidential debate here at Hofstra University on Monday night. The fact that Mook, Clinton campaign spokesman Brian Fallon, and Democratic National Committee (DNC) chairwoman Donna Brazile each refused to answer the simple question that would prove Clinton is actually opposed to the Trans Pacific Partnership now after praising it 40 times and calling it the “gold standard” is somewhat shocking. Obama is attempting to ram TPP through Congress as his last act as president during a lame duck session of Congress. Clinton previously supported the TPP, and called it the “Gold Standard” of trade deals. That’s something Brazile, the new chairwoman of the DNC who took over after Rep. Debbie Wasserman Schultz (D-FL) was forced to resign after email leaks showed she and her staff at the DNC undermined the presidential campaign of Sen. Bernie Sanders of Vermont and in an untoward way forced the nomination into Clinton’s hands, openly confirmed in her own interview with Breitbart News in the spin room post debate. Brazile similarly refused to answer if Clinton should call on Obama to withdraw the TPP from consideration before Congress. BREITBART NEWS: Secretary Clinton says she’s opposed to the TPP now, I wanted to see do you think she should call on President Obama to withdraw the TPP from Congress? DONNA BRAZILE: Well, as you know, we had that debate and that conversation during the Democrat platform process. The platform in our party is very, very strong on where we should go on not just the TPP but on trade deals. In terms of President Obama and what he’s going to propose on Capitol Hill during the final months of his presidency, I’m sure he’s going to continue to push for it. DONNA BRAZILE: Because Hillary Clinton is our nominee for President of the United States. BREITBART NEWS: And President Obama is the sitting president. DONNA BRAZILE: But she’s not a member of the United States Senate. I think Mitch McConnell made it very clear he may take this issue up and may not take it up in the so-called lame duck session. So I think for now President Obama has to work with the Democrats on Capitol Hill, which include Bernie Sanders and others who say they will fight against the TPP. That wasn’t all. Mook and Brazile were hardly the only Clinton sycophants who dodged the question. Clinton campaign spokesman Brian Fallon dodged it too in a brief exchange with Breitbart News in the spin room. BREITBART NEWS: On the TPP, Secretary Clinton says she’s opposed to it now. Does she believe that President Obama should withdraw the TPP and not push it through in a lame duck session of Congress? BRIAN FALLON: She is against the TPP at any point, including in the lame duck, and she has further said—or our campaign has said—that she would not prioritize or push any effort to reopen it or try to tinker around the edges to try to salvage it even if she’s the president in January. BREITBART NEWS: So does she think that the president should withdraw it since she’s opposed to it in the lame duck anyway? BRIAN FALLON: I think that she’s been clear in her position that no matter when it comes up, in the lame duck or whenever, she would be against it personally—and she would urge others to defeat it. And she’s certainly not going to bring it up to push it if she’s in office in January. BREITBART NEWS: Has she had any conversations with the president asking him to withdraw it? BRIAN FALLON: I’m not aware. I’m not aware of that. Our jobs are fleeing the country. They’re going to Mexico. They’re going to many other countries. You look at what China is doing to our country in terms of making our product. They’re devaluing their currency, and there’s nobody in our government to fight them. And we have a very good fight. And we have a winning fight. Because they’re using our country as a piggy bank to rebuild China, and many other countries are doing the same thing. So we’re losing our good jobs, so many of them. When you look at what’s happening in Mexico, a friend of mine who builds plants said it’s the eighth wonder of the world. They’re building some of the biggest plants anywhere in the world, some of the most sophisticated, some of the best plants. With the United States, as he said, not so much. So Ford is leaving. You see that, their small car division leaving. Thousands of jobs leaving Michigan, leaving Ohio. They’re all leaving. And we can’t allow it to happen anymore. As far as child care is concerned and so many other things, I think Hillary and I agree on that. We probably disagree a little bit as to numbers and amounts and what we’re going to do, but perhaps we’ll be talking about that later. DONALD TRUMP: You called it the gold standard. DONALD TRUMP: You called it the gold standard of trade deals. You said it’s the finest deal you’ve ever seen. DONALD TRUMP: And then you heard what I said about it, and all of a sudden you were against it. Clinton’s claim that she never called it the gold standard of trade deals is a demonstrable lie. Fact checkers from Breitbart News to the Washington Post and more proved she lied, because she didn’t just hope it would be the gold standard but she said it was the gold standard. In addition to Clinton’s lies on TPP, her decision to finally—for the first time this election cycle—defend the highly controversial North American Free Trade Agreement (NAFTA) trade deal that her husband signed into law puts her on her heels in middle America. Well, President Obama should withdraw it and she should call for it to be withdrawn. President Obama is not going to withdraw it. She was involved in the early drafting of it. She said 40 times favorable comments about it. And for her to suggest that she sort of had anything other than a political conversion is totally false. Hillary Clinton’s view was totally for that treaty until Donald Trump talked to the American people about the flaws in it. It’s impacting, adversely, working people. And then she flip flopped, but she left the door wide open so if she’s president she can make a few cosmetic changes and then move it through the Senate. That’s exactly what’s at stake on that issue. There’s no doubt about it. She helped write that as Secretary of State—she wasn’t there when the final draft was completed and she was saying nothing but fine things about it. At least 40 times, she praised the treaty and did call it the ‘gold standard’ of treaties—but then when the heat got on, she backed off some. But she’s never really backed off the possibility with a few cosmetic changes she could move that treaty forward. It’s really such an excellent question, Matt, I’m glad you asked it. It goes to something Donald Trump said early on in tonight’s debate where he said ‘are you saying that President Obama was wrong? Are you saying he’s wrong?’ And Hillary Clinton just gave a glib smile and didn’t answer the questions, so I hope she answers yours. She once called TPP the ‘gold standard.’ And then has been against it. She has been known to be a flip-flopper, 66 percent of the country says she’s not honest and not trustworthy. They know that she lies for a living on many things. I also—Robby Mook, her campaign manager, refused to answer the question as to whether Hillary Clinton still supports sanctuary cities. He just didn’t answer it. We know that Donald Trump opposes sanctuary cities. It didn’t come up in tonight’s debate, but sanctuary cities that harbor illegal aliens who then murder Americans is beyond the pale. Donald Trump has stood on the stage with these parents, these angel moms and dads who have lost their children to illegal aliens who had been deported—in the case of Kate Steinle, being murdered in cold blood right in front of her father in San Francisco about two years ago. Kate’s Law would be signed into law if Donald Trump was president. You can’t believe anything Secretary Clinton says about TPP. We’ve seen everyone from Terry McAuliffe to Bill Clinton come out and essentially make clear that yes, she will be someone who supports TPP. I think you will see Secretary Clinton jump and evade and dodge every opportunity to get pinned down on this issue and the fact of the matter is she called TPP the ‘gold standard.’ This would be another trade deal, maybe not as bad as NAFTA, but another trade deal [that would be bad for the country]. Miller added that the Clinton campaign’s refusal to answer basic questions from the press about TPP is why Donald Trump is surging everywhere across the country.